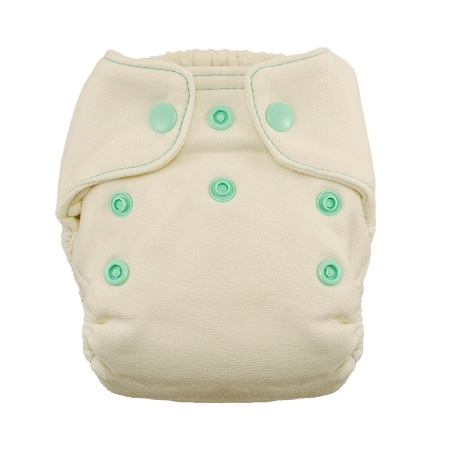 The Thirsties Natural Fiber Newborn Fitted Diaper is ultra absorbent with 7 thirsty layers of natural fibers. 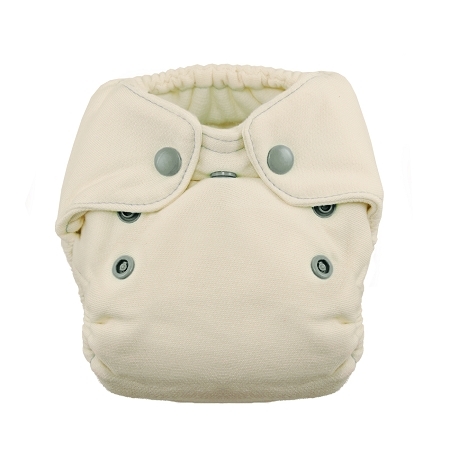 Use a waterproof cover over your fitted. 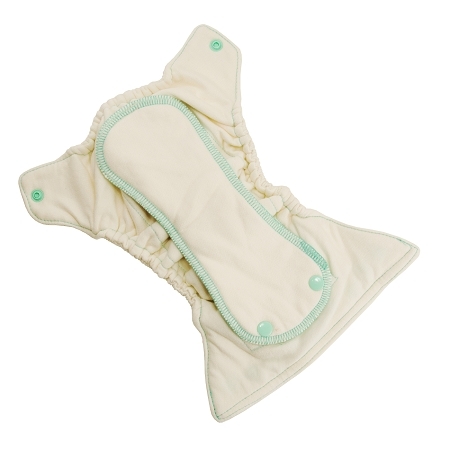 We suggest a Thirsties Duo Cover (size 1). 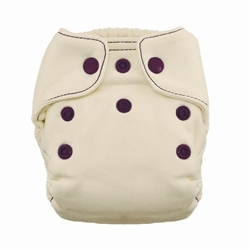 Natural Newborn Fitted Diaper - Our Natural Newborn Fitted Diaper offers natural, superior wetness protection, perfect for newborn baby’s delicate skin. 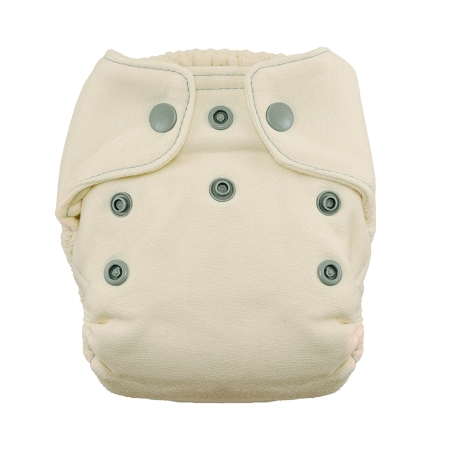 Made with 7 total layers of irresistibly soft bamboo cotton – 3 layers in the body and 4 layers in the snap in soaker pad – and includes an umbilical cord snap down which may be used while cord stump is present or belly button is healing. 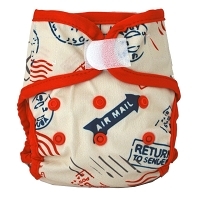 Remember, although you’re not going to want to cover up these adorable, ultra-soft diapers, they are not waterproof on their own! 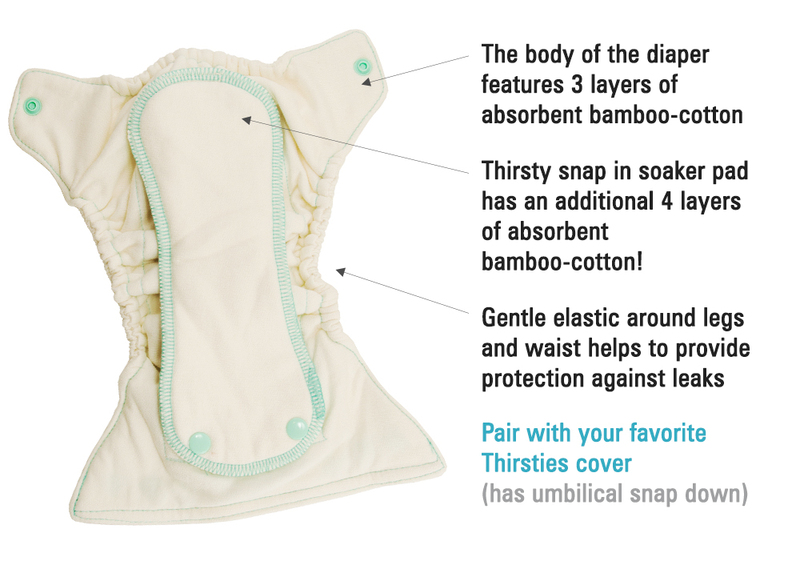 We recommend pairing with Thirsties Duo Wrap (size 1) for a truly leak-proof system. 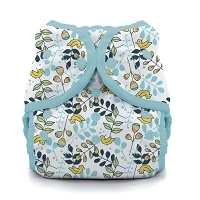 The Fitted is available in snap closure with a choice of 3 different, color-coordinated stitching/snap combos: Moss, Ocean Blue and Fin.